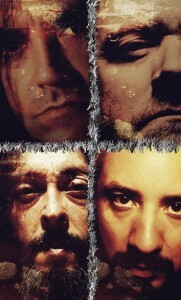 INNER SANCTVM was formed in 1989 in Montevideo, Uruguay, as the brainchild of Heber W. Hammer, and since their very inception it has been marked by events that would characterize the uniqueness of the band. Heber had already formed one band before, Melkor Morgoth in 1986, being that band the very first one in Uruguay’s land to perform Extreme Metal, but the best was yet to come. Pablo Van Lagat would join on bass and vocals (ex Angkor Vat), and Adolfo Loskin on drums, and just a few weeks after the forming of INNER SANCTVM, the band recorded a Live Tape out of a show in Montevideo, that tape was passed to some people in Chile, and the band was then invited to perform live in Santiago, Chile, being this a very rare situation for a band coming from Uruguay, and let’s say it, a rare situation for any underground band just being formed. Adolfo wouldn’t be able to travel to Chile so Andy Viglioni was brought in as drummer. In Chile the band got an amazing feedback from the crowd, and in Chile also is where they got in contact to start working on their debut four tracks Demo Tape “Shadows In The Mirror”. The popularity of the band started to grow, not only in Uruguay, Chile, Argentina or Brazil, but they started to get great reviews from all over the world, mainly European ‘Zines that were celebrating INNER SANCTVM’s music and approach. By the end of 1993 INNER SANCTVM travels again to Chile to play a show with SARCÓFAGO, and to record their first full length, the “Frozen Souls” album. By that time Álvaro García (drums, also ex Angkor Vat) would join, forming this way the most recognizable line up of the band. The album was released in 1994 and once again the critics were nothing but great, the band started to grow to a level never seen before in Uruguay, also touring Latin America, but then tension within the band’s members forced to Heber W. Hammer to leave the band. Beto would be the one in charge to take the 6 stringed axe. As Heber was the driven force behind INNER SANCTVM, Pablo Van Lagat was the face of the band, and soon enough he would also departure. José Romero (later on Requiem Aeternam) would replace Pablo but the countdown for INNER SANCTVM’s days had already begun. During 2006 Heber would try to re-start the band but it failed, the musicians weren’t the right ones and certain circumstances surrounding INNER SANCTVM went totally out of control, so that, everything was folded again. By 2009 everything clearer and the chances were there to take INNER SANCTVM back to life. Heber wrote an entire new album and Álvaro (now located in Italy) agreed on becoming the drummer. Francisco Martín (who lives in Sweden, plays in The Gardnerz and is a long time related person to INNER SANCTVM) was brought as the new bass player. Anton Reisenegger of Pentagram (Chile) / Criminal / Lock Up was asked to join as singer, and with this full line-up the band recorded “CHRISTI TESTAMENTA”, the comeback album. A BAND WHOSE EXISTENCE AND LEGEND HAS CROSSED CONTINENTS SINCE THE LATE 80’S. A REAL CULT AND MUST HAVE RELEASE FOR ANY FOLLOWER OF THE BLACK/THRASH GENRE. 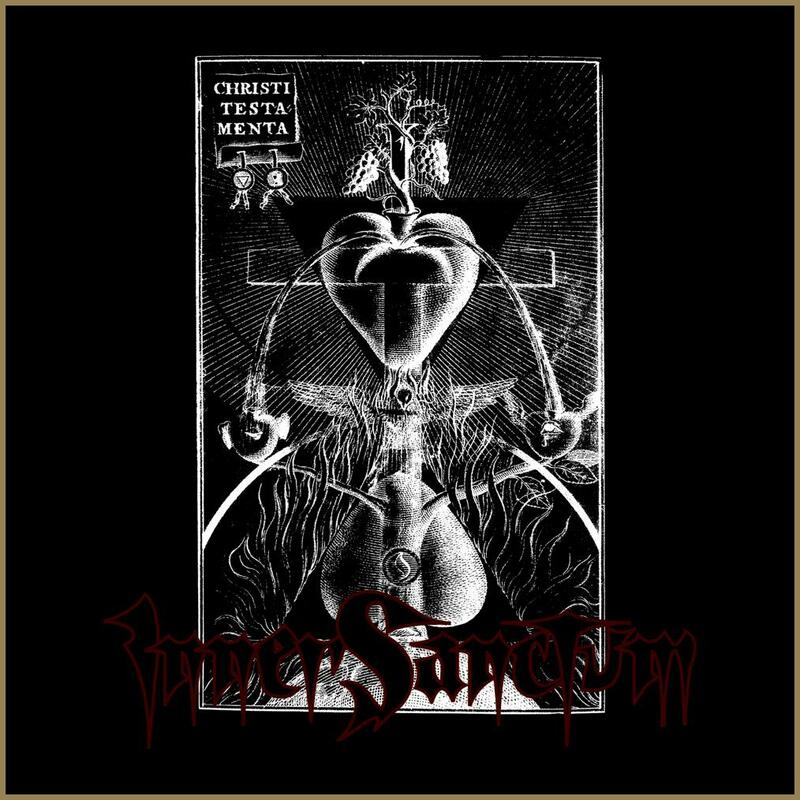 More than 15 years after the release of “Frozen Souls”, today revered as a cult-album by many metal aficionados, one of Uruguay’s most loved metal sons, INNER SANCTVM has been resurrected by founder/guitarist Heber W. Hammer. Strong with an international line-up including original drummer Álvaro García, singer Anton Reisenegger (Pentagram, Criminal, Lock Up), and bassist Francisco Martín (The Gardnerz, Sacramento, ex-Vesania), INNER SANCTVM finally release the long awaited sophomore album, “Christi Testamenta”, which brings their notorious Celtic Frost worship – and in general the black/thrash/death golden aura of late 80s/early 90s – into modern times, in a perfect equilibrium of melody and aggression.